The World Needs A Stronger Blog...: "Wondering if the world is flat has never been an important thing to me." "Wondering if the world is flat has never been an important thing to me." 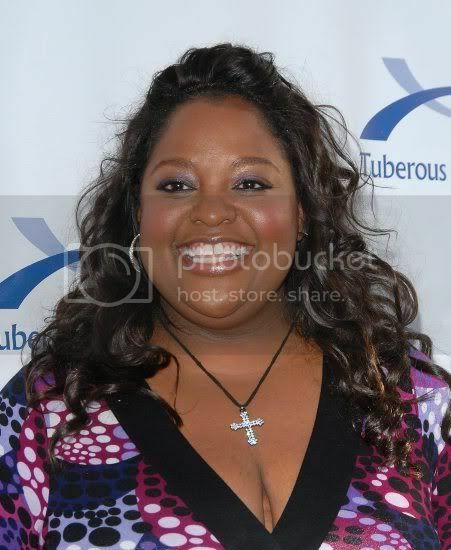 Sherri Shepherd isn’t getting off to the best start during her first week as an official “View” panelist. First she said she would walk around her child naked until he turned 8, and now she’s wondering if the world is flat or not. After declaring she didn't "believe in evolution, period," stupid Whoopi asked if Sherri if she thought the world was flat. If the bible says the world is flat, then it must be, right? Watch her try to wiggle out of giving an answer and start talking about "feeding her kids". A classic for the ages. Watch the video. Meanwhile, if the reports are true that Britney Spears' bodyguard claims Brit walks in front of her young sons naked, Sherri Shepherd doesn't see anything wrong with that. Shepherd revealed on "The View" that her 2 1/2-year-old son sees her naked "all the time." She says her son will say "Mommy! Booby!" Asked how old her son would have to be for her to stop, Shepherd said "probably 8? Is that too old?" She was assured that, yes, that would be too old for her son to see her naked. I’m in shock. Just got done watching “The View.” That show is going DOWN hill. There was a conversation in Hot Topics about evolution. Sherri Shepherd doesn’t believe in it. Flat out does not believe in it. She started quoting the Bible. Looks like Elisabeth is no longer the resident idiot on that show. Whoa. This is not good. When Sri starts using all-caps to express his displeasure — usually reserved for Elisabeth — you know The View is in trouble with its core audience.